A branch from the plum tree in my back yard broke off a while ago. Instead of having it hauled away with the trash, I decided to whittle some wooden implements. 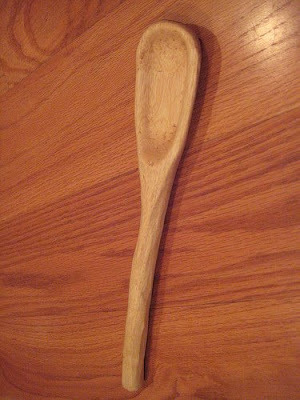 Here's the first thing I made: a wooden spoon. See the exciting step-by-step photos!